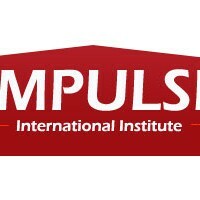 IMPULSE prides itself as an innovative organization dedicated to raising the quality of education, intellect and human capital. Its mission is to provide quality and multifaceted consultancy in education and training. Recognized as leading education consultants in Nepal, their comprehensive approach allows the client access to multiple specialists in areas leading to students’ success. Counsellors advice students on educational opportunities at top universities and best colleges in UK, USA and rest of the world and assist them with admissions and career choices. IMPULSE offers the students the most cost-effective service packages that cater to the varying interests of the diverse students. With a vast network of resource personnel and infrastructure, IMPULSE Education Consultants provides you with comprehensive packages that take care of the student’s financial and curriculum requirements.